CRGH’s donation programme includes a donor egg bank and sperm bank. Our donor egg bank is one of the largest in the UK. Some women with low ovarian reserve or poor egg quality, as diagnosed from previous treatments, might elect to use donor eggs to improve their chances of becoming pregnant. We also have a sperm donor bank. All donors fulfil the mandatory requirements and screening as per HFEA guidance. 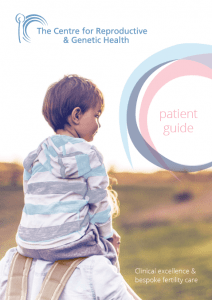 We have a dedicated team of doctors, nurses, embryologists and counsellors who can help you to have counselling and complete the selection of a potential donor and the treatment cycle. How are donor eggs matched with recipients at CRGH? What makes the CRGH egg donation programme unique?